We have gained a renowned position in this market by providing an extensive range of GRC Screens. Our products are made under the rigorous industry norm. In order to keep worldwide market demands, we also inspect these products. Our clients can buy this product at affordable rates. In addition to this, our products are broadly admired for their high strength and top quality. 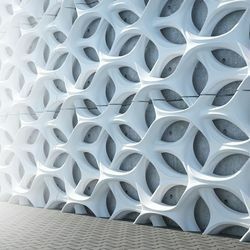 GRC Architectural Stone work Jalis are lightweight and highly versatile, can be made in size, design and thickness as per architect's specifications. We are offering GRC Screen Elevation to our client. In order to cater the variegated demands of our precious clients, we are offering an excellent quality range of GRC Screen. In order to cater the variegated demands of our clients, we are offering an excellent quality range of Stylish GRC Screen. 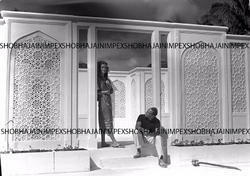 We have carved a niche amongst the most dominant names in this domain, engaged in offering Stylish GRC Jali.